The FDA has recently initiated a pilot program which will help drug manufacturers use complex innovative trial designs (CID). This move comes after the agency committed to helping facilitate and advance the use of complex adaptive, Bayesian, and other novel clinical trial designs, as part of the sixth iteration of the Prescription Drug User Fee Act (PDUFA VI). These kinds of clinical trial designs pose unique challenges for drug developers, meaning sponsors often need additional regulatory input in order to ensure FDA expectations and standards are met. The pilot program has been created to ensure sponsors can access this input and then plan their drug development and testing programs accordingly. The FDA encourages any drug companies with plans to use CID to apply to the program. However, at this time, the agency has only committed to accepting two companies per quarter. Priority will be given to companies developing drugs for unmet medical needs using trials that rely on simulations. The sponsors accepted into the pilot program will meet twice with the FDA. The initial meeting will be held to discuss regulatory approaches to CID and the companies’ plans to use a CID. The second meeting will be held within the next 120 days and will serve as a follow-up on the same topic. 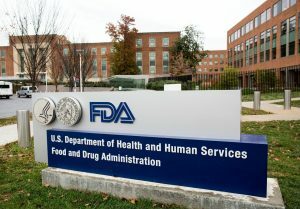 The meetings will be conducted by the FDA’s Center for Drug Evaluation and Research (CDER) or Center for Biologics Evaluation and Research (CBER). While companies will no doubt benefit from the extra FDA guidance, acceptance into the program will not guarantee an FDA sign off on a company’s CID. This has been developed as a four-year program and will run during fiscal years 2018 to 2022. To promote innovation in this area, and to help support companies not accepted into the program, the FDA will consider presenting the trial designs developed through the program as case studies, in an FDA guidance or public workshop.